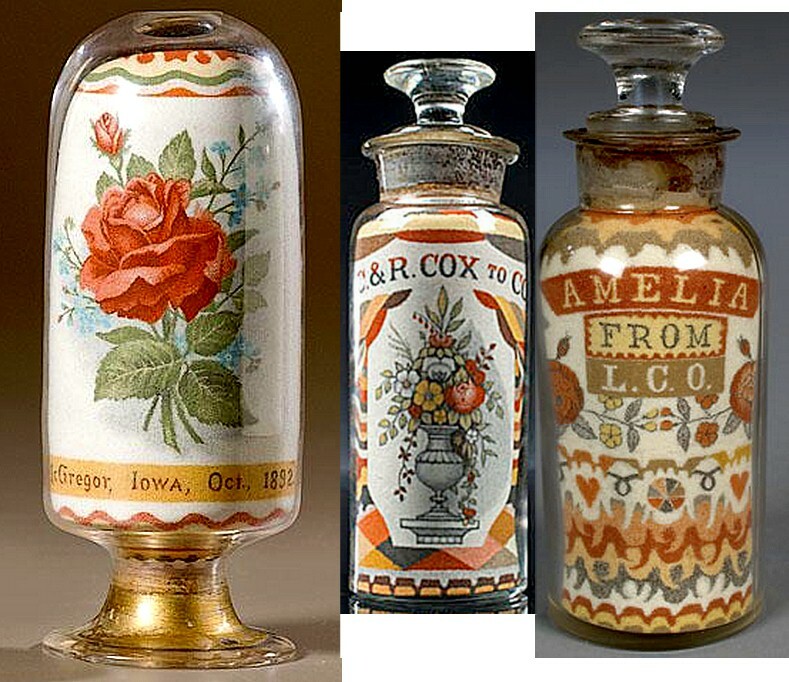 The artist who created these beautiful bottles in the late 1800's was Andrew Clemens (1857-1894) of McGregor, Iowa, who was a deaf-mute. "... 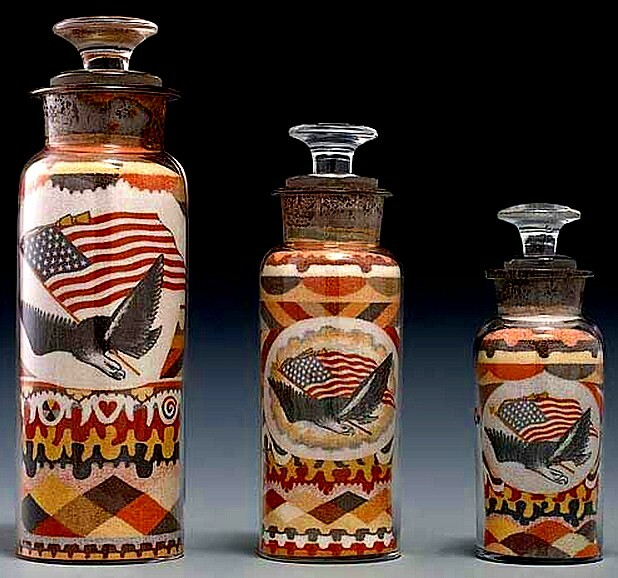 It's estimated that of the hundreds of sand art bottles Clemens made during his regrettably short life (he died at age 37 or 42 depending on which account you read) only about 50 bottles remain. 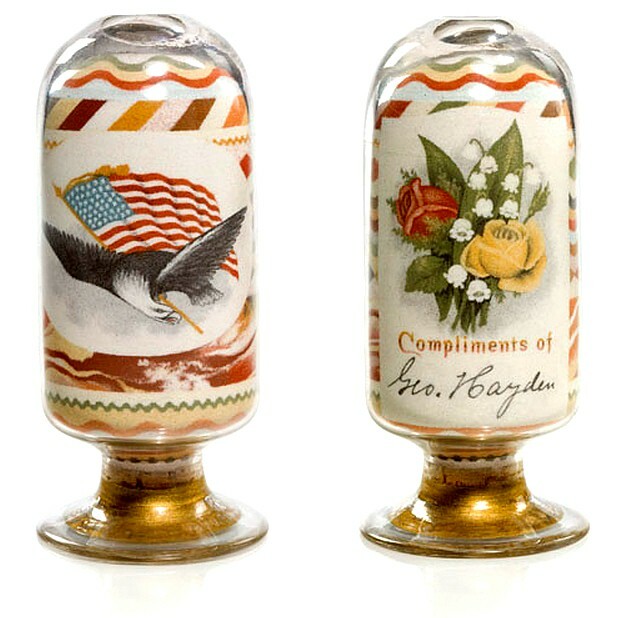 They are highly coveted by American folk art collectors for their ingenuity and beauty. 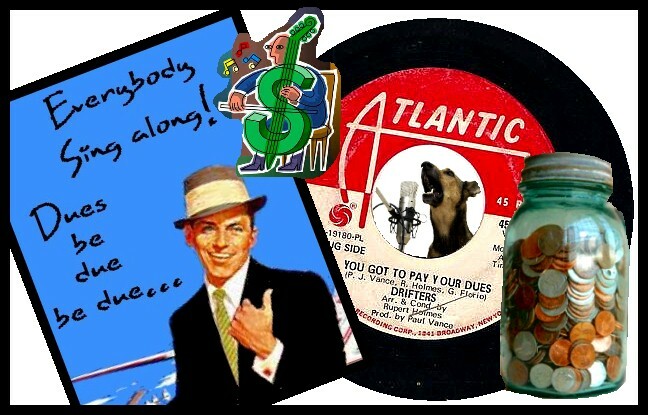 Prices range from about $500 for lesser quality examples to as much as $25,000. 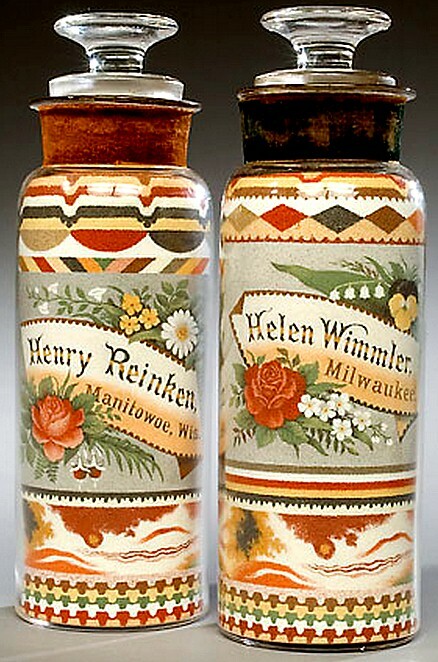 Four bottles are on display at the Iowa State Historical Museum in Des Moines ..."
Sand painting is called Marmotinto. 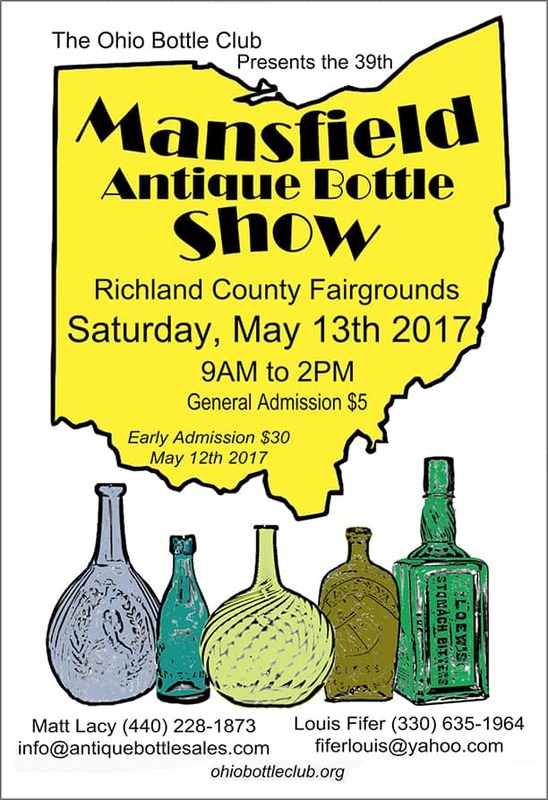 The Victorian-era celebrated crafts, and took Marmotinto to the next level by putting the sand paintings inside bottles and jars. Andrew Clemens was the undisputed master. The sand is tightly packed, but not glued. 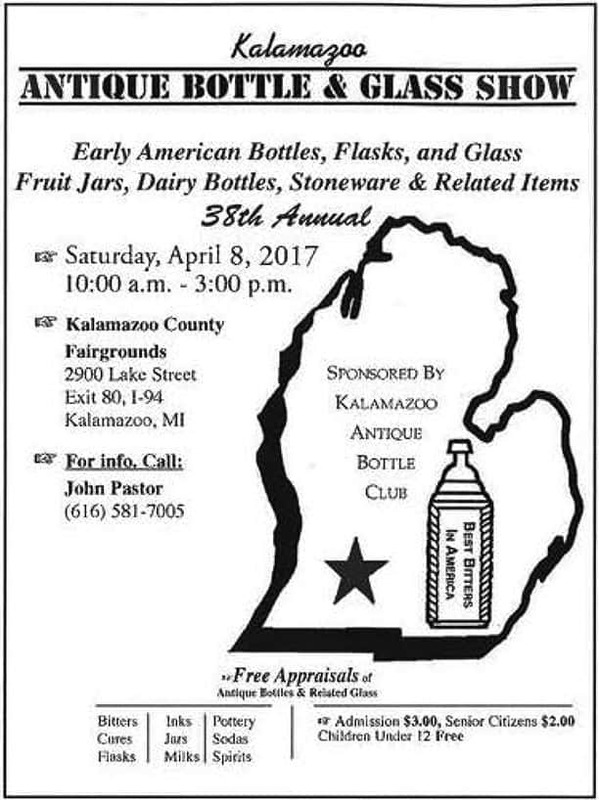 It could take the artist 3 weeks, or 3 months, or sometimes up to a year to complete one bottle. 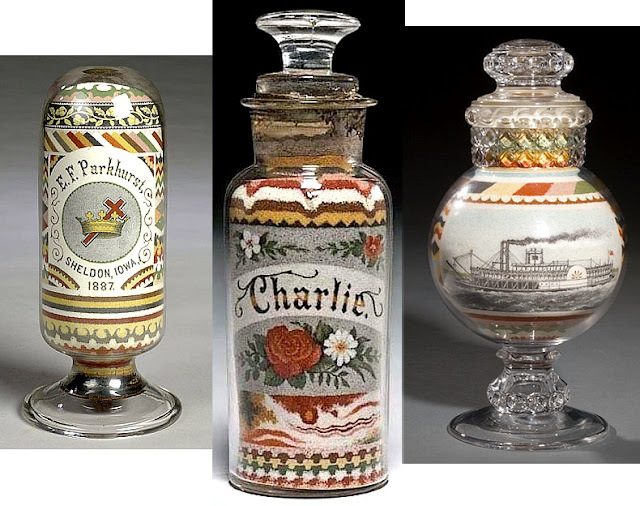 These antique glass bottles are filled with tiny grains of colored sand, all placed by hand, with what was basically a long-handled hook (see pic of tools at left). Absolutely amazing, right?! This really rare matched pair of sweetheart sand bottles Clemens made for Henry Reinken and his future wife Helen Wimmler, have an estimated value $25,000-35,000, according to Cowan's Auctions. 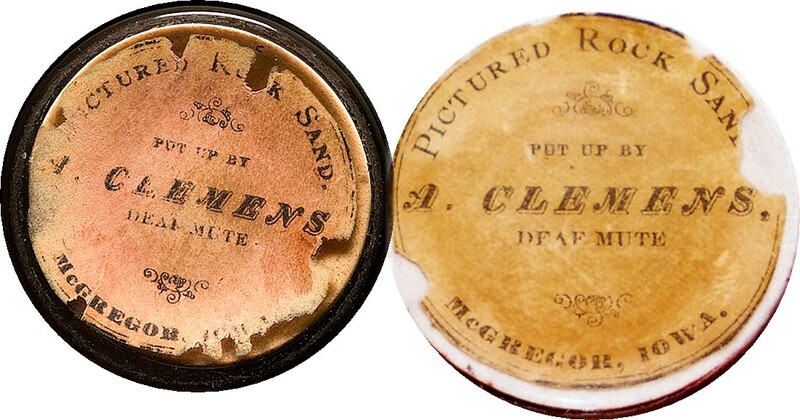 A. Clemens Bio -- Read his story, and about how he made his art. Photo Gallery of Clemens Sand Bottles -- Super page with pix of Clemens, and about 20 of his amazing sand art bottles. Wes Cowan's Article on the Worthpoint blog. 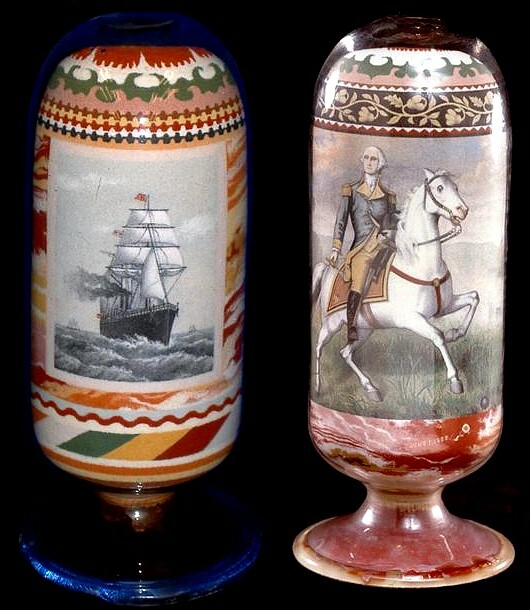 THE SAND MAN & HIS SPECTACULAR BOTTLES from Antique Trader's article archive. 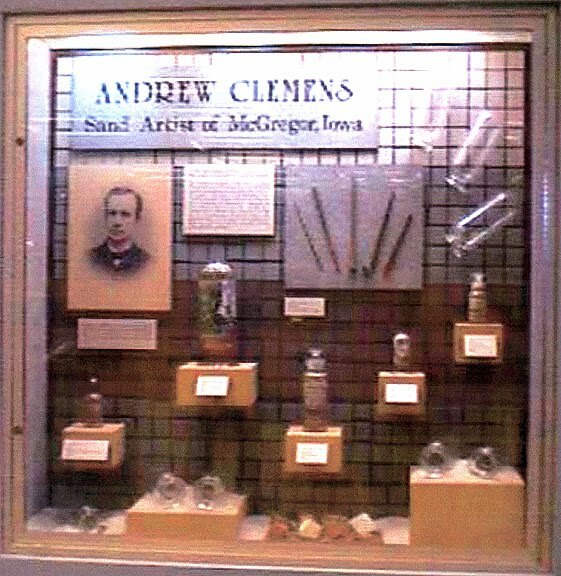 You can go see some of Clemens' Sand Bottles on exhibit at the State Historical Society of Iowa Museum. 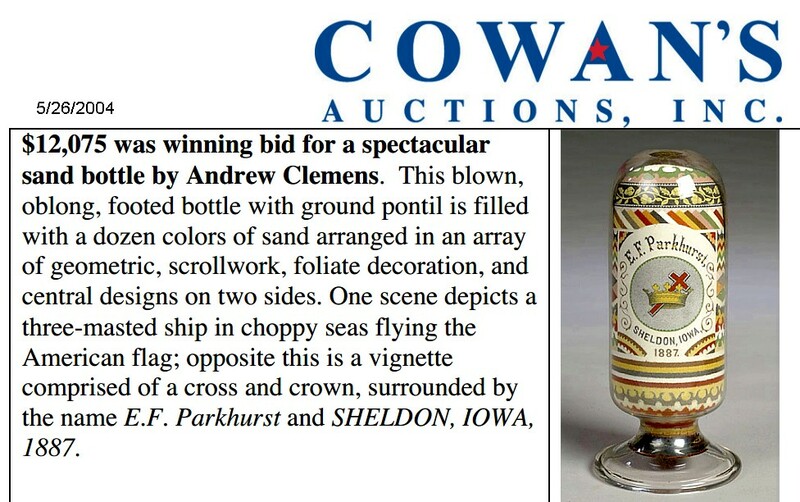 There was one of these beautiful pieces on the Roadshow back in 2002 -- here's the link to the PBS archive of that rare Clemens Sand Art Bottle -- see photo and video. 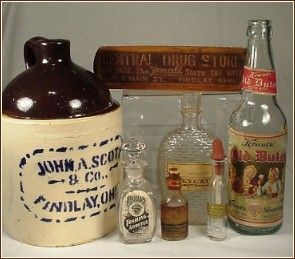 It has a mortar and pestle/pharmacy theme - fabulous! 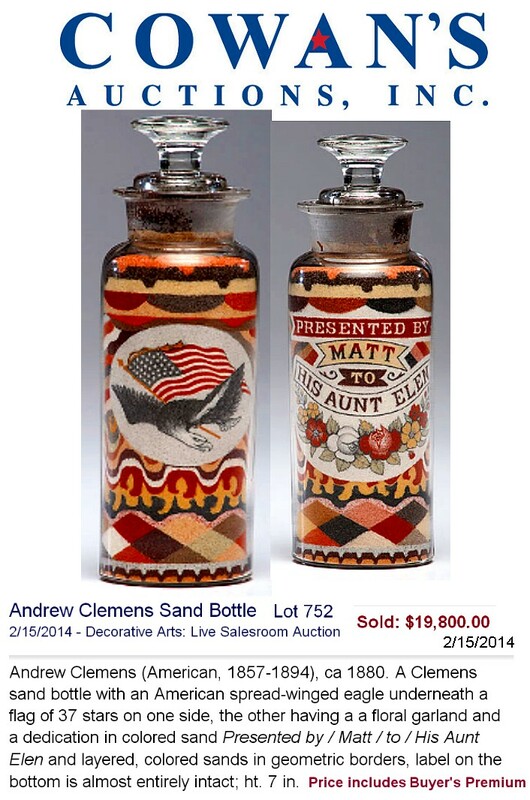 Here are couple more Andrew Clemens Sand Bottles that sold at Cowan's Auctions. 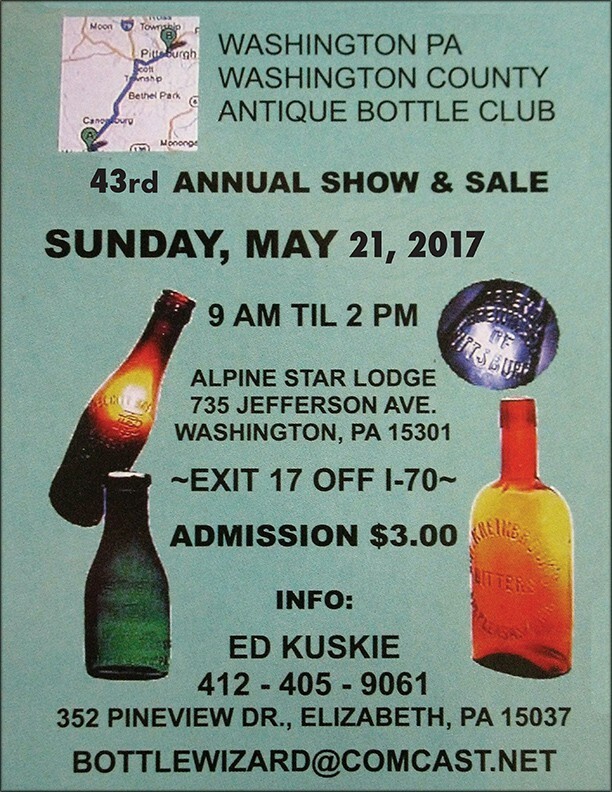 Wes Cowan now has a Facebook page dedicated to Clemens Art Bottles, where he posts some great photos. 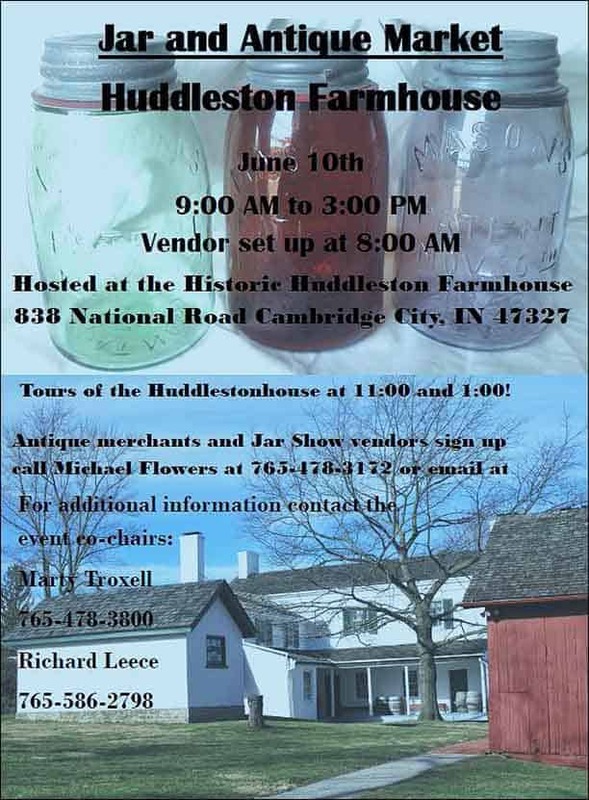 Here's a video of Wes Cowan on the Antiques Roadshow, at the Iowa Museum, showing us some of the museum's Clemens bottles, and telling the history. 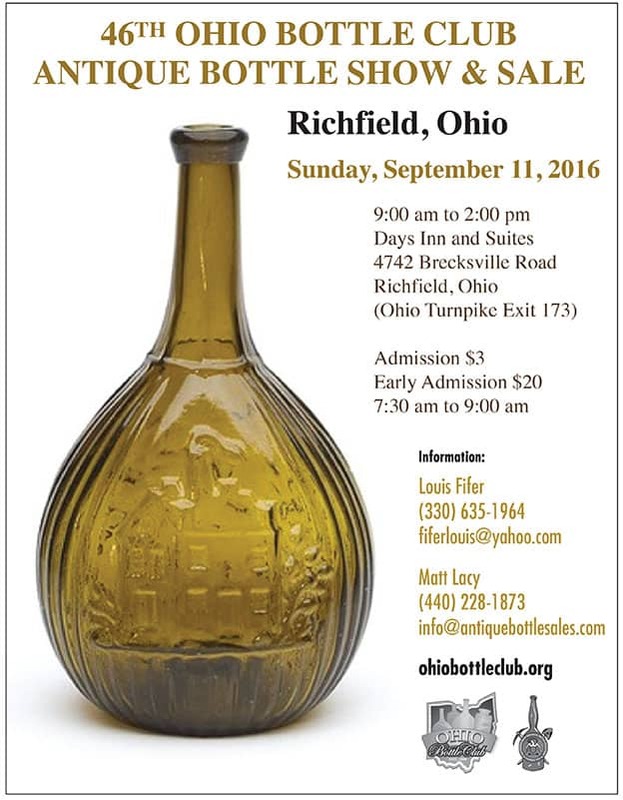 He comments that when that Clemens bottle appeared at the Roadshow back in 2002, it was the first any of the appraisers had ever seen. 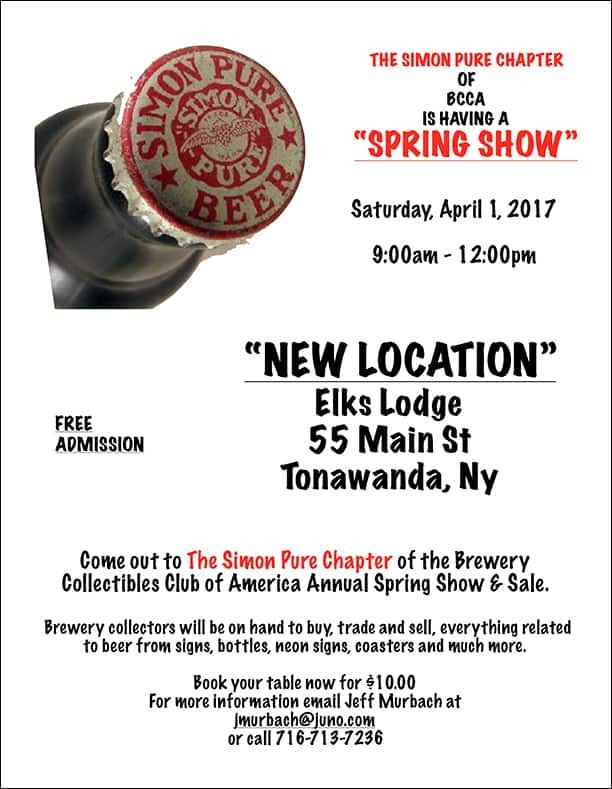 Thanks to the infamous ''Roadshow Effect'', many more have come to light, and prices have escalated. A must see! 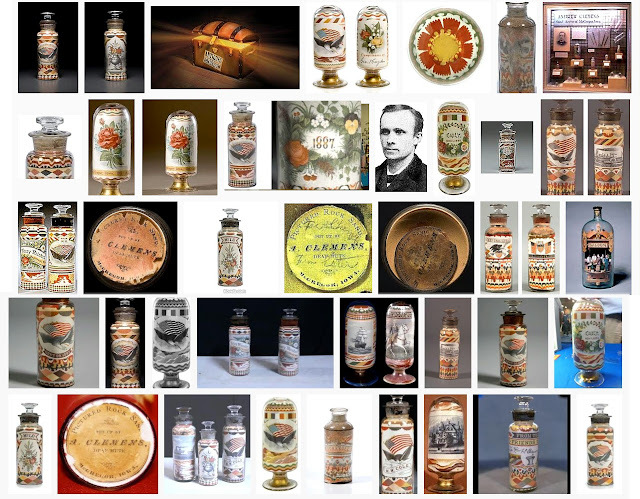 I'm reading: Rare Antique Folk Art Sand Paintings in Glass Bottles and Jars by A. ClemensTweet this!